Springtime is the season for romance. The blossoms on the trees cast fragrance into the evening breeze. The sun shines for a little longer each day. Do you want to put some fresh cut flowers in your home to evoke a romantic atmosphere? You do. Read on and get a flying star Feng Shui tip on where to place a vase of flowers to boost your chances of a fine romance in April 2018. Flying stars are the spiritual forces arriving in your home bringing energies to support you in getting what you want in career and wealth, health and relationships. Each year there are different stars flying into each of the eight directions. Each month there are another set of monthly stars flying in to meet the yearly stars. The yearly stars and monthly stars are visiting stars. Your home has some resident stars which your Feng Shui consultant will work out for you. Remember to consult a professional or learn for yourself to a professional standard for a full Feng Shui review. Let’s talk about making use of the annual and monthly stars which are coming from the same directions for each home (and office). This general tip applies to all homes and offices. The flying stars are numbered star 1 through to star 9. In April 2018, the yearly star 1 meets the monthly star 4 in the north-west sector of your home. Check out this article (www.fengshuisociety.org.uk/2018/02/14/flying-stars-feng-shui-tips-part-1) to learn about plotting the 8 sectors and annual stars onto your floor plan. 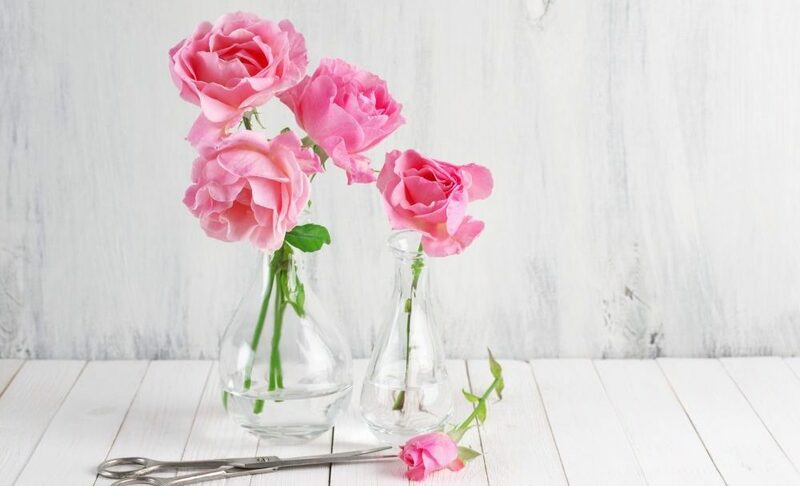 Place some fresh flowers in a vase of clear water in the north-west sector of your home to encourage the energies of the yearly and monthly stars to express their beautiful and romantic nature. When your home is filled with the vibration of beauty and romance you’ll be in with a chance for attracting lots of new admirers. Keep the flowers there until 5th May 2018. The monthly stars change for May. Come back next month for more flying stars Feng Shui tips. Want to find the best spot in your home for improving your luck in romance throughout the year? Consult a professional or learn for yourself to a professional standard for a full Feng Shui review.